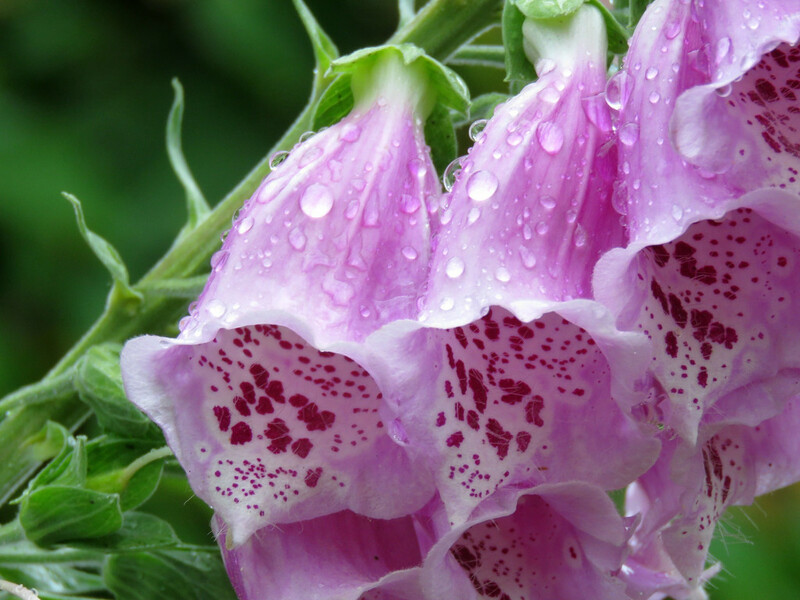 Seattle's raindrops covered these foxglove blooms. This shot was taken a few days ago on a rainy day walk around my neighborhood. Better weather has arrived since taking this shot. Thanks for your views and comments. As always, they are much appreciated :). A stunning capture of these beauties, fav! Beautifully captured. I love those spotty tracks within to guide the bees. Wonderful capture, colours and waterdrops. So pretty. I love the details and the water droplets. My very favorite Flower!! We get a small Bee that loves them!! Great Capture! What great focus on these - the rainy day lighting was great. Looks so pretty on black. Lovely POV and composition! Fav.